This holiday season delight in the relaxing welcome and festive feeling of a snow-covered, Colorado town. Enjoy endless opportunities for festive holiday events; gift the creativity of Colorado crafts and the divine taste of Colorado-made food, spirits and sweets. Embrace the essence of the season, connect with loved ones, and celebrate with a Uniquely Colorado Christmas. Visit: From the foodie capitol, Boulder, to the undiscovered culinary corners of the state, Colorado is home to artisan chocolateers, bakers, crafters, brewers and people who live to create tasteful treats. • Cheese and Crackers-- artisan Mou Co cheeses or craft cheeses made from sheep, goat or cow’s milk make a decadent appetizer when paired with local chutney, jams and all natural Nita Crisp crackers. 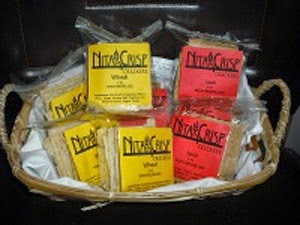 Nutritious Nita Crisp crackers are made with wheat or smelt. Do: Learn about the local Ft. Collins food scene: The Gardens on the Creek for the Garden of Lights Tour, Laughing Buck Farm for Family Fun Days, Copoco’s for a beekeeping class, or nearby Haystack Mountain Goat Farm for a creamery tour and cheese making class. Visit a local craft brewery for a tasting and tour; from New Belgium to High Hops, the Fort Collins area has over 13 craft brewers! 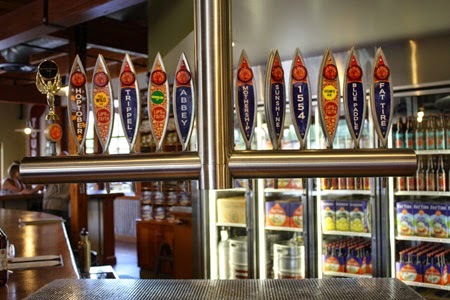 Fort Collins is well-known for its craft breweries.